With Italy’s populist government supporting the “Yellow Vest” protests, France needs to understand how and why it has become the principal target of Italian criticism. Reckoning with this latest turn of events could help France to overcome its own internal divisions and prevent Italian-style populism from taking power in Paris. PARIS – The support from Italy’s populist leaders for the “Yellow Vest” protests in France is a sad first in the history of the European Union. Never before has one of the six founding countries of the European project intervened so resolutely in the domestic affairs of another. To add insult to injury, Italy is supporting a movement that contains elements who clearly reject fundamental European values of tolerance and respect for democratic institutions. Italy has gone astray, and France needs to understand why, so that it can fight to ensure that populism does not gain further ground domestically. In doing so, France must distinguish the Italian people from some of their far less admirable political leaders. 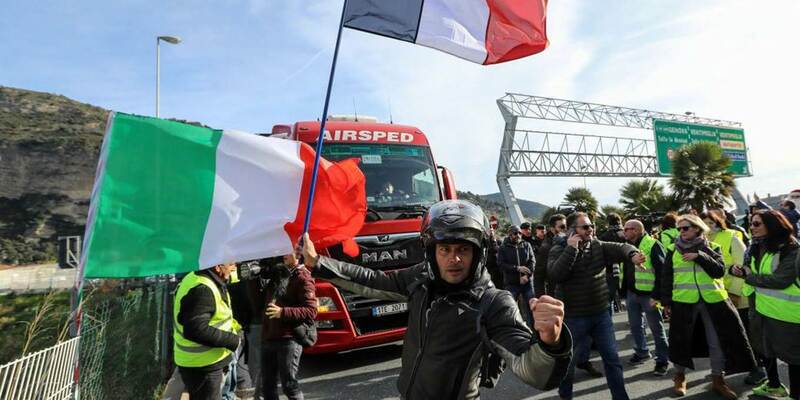 Rising tensions between the French and Italian governments are partly the result of competition between the two populist parties in Italy’s ruling coalition, which took office in June 2018. This was recently reflected in strong anti-French rhetoric from the leader of the Five Star Movement, Luigi Di Maio, who until now has been largely eclipsed by the League party leader, Matteo Salvini. But anti-French sentiment in Italy has deeper roots, and exists among both the elites and parts of the wider population. Franco-Italian relations have always been complex. As the heir to the Roman Empire, Renaissance and Baroque Italy felt culturally superior to France and more refined. For Italians, the demonstrative way in which France exhibited its greatness and glory from the time of the Sun King (Louis XIV) to Napoleon made it appear “nouveau riche.” Even French support for Italian unification in the second half of the nineteenth century contributed to further misunderstanding, because France “received” Savoy and Nice in exchange for its precious help. In more recent times, there had at least been some signs of mutual admiration. Italians looked enviously at France’s well-functioning state, while the French nodded approvingly at northern Italy’s dynamic network of small and medium-size companies. Today, however, this kind of reciprocal praise seems like the stuff of nostalgia. The view from Rome these days is that France gives lectures on budgetary rigor but no longer practices it, as when French President Emmanuel Macron canceled his planned fuel-tax increase in the face of the Yellow Vest protests. But Italy’s current negative perception of France is above all emotional. From the crisis in Libya (a country Italy knows well) to the migrant crisis (which has hit Italy disproportionally hard), Italians feel deliberately ignored, if not abandoned, by the French – who, to make matters worse, also give the impression of looking down on their neighbors. It is tempting to compare Italy’s criticism of France to the Yellow Vests’ hostility toward French elites. Both sentiments, after all, draw their strength from a feeling of humiliation in the face of perceived arrogance and privilege. The big question now is whether Italy’s populist present will be France’s future. Clearly, this scenario is no longer inconceivable. Defenders of liberal democracy in France and elsewhere must, therefore, adopt and adapt the Yellow Vest motto and refuse to give in. In a short 2008 essay entitled “The Spirit of the Enlightenment,” the late French essayist of Bulgarian descent, Tzvetan Todorov, reminded us that “there would not have been a Europe without the Enlightenment and no Enlightenment without Europe.” And in the immediate aftermath of World War II, statesmen such as Robert Schuman in France and Alcide de Gasperi in Italy not only were devout Christians, but also believed in the ideas of Montesquieu and Voltaire. This is clearly not the case with Salvini or Marine Le Pen in France. Rather than being united and moved by hope and trust, they are exploiting a culture of fear and humiliation and a common desire to destroy the existing system. There is little to be gained simply by contrasting the spirit of the Enlightenment with the populist spirit of the Yellow Vests, or Macron’s deep and sincere desire for reforms with Salvini’s shrewd and brutal vulgarity. But there are lessons to be learned from the rise of the Italian populists and the French Yellow Vests. For starters, one cannot ignore the emotions of others. Equality of respect is as important as equality of means. Humiliation is a powerful motor that can drive people to sheer hatred, as Macron is currently experiencing. Furthermore, representative democracy is fragile and precious. It must be defended at all costs from its authoritarian external enemies, as well as from domestic opponents intent on seeing only its shortcomings. France, meanwhile, should maintain its moderate, reasonable, yet firm stance and not engage in a war of words with Italy. Instead, it should try to understand how – and, even more so, why – it became the principal target of its transalpine neighbor. Critical reflection here could help France to overcome its own internal divisions and prevent Italian-style populism from taking power in Paris.